From a simple oil change to a brake repair – we know you are looking for the best. 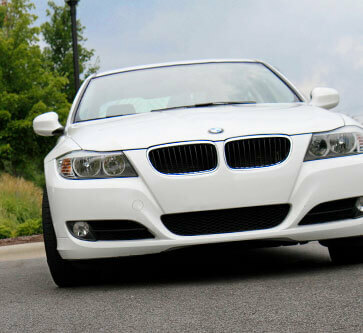 Your BMW isn’t just like every other make, and the experts at Precision Auto in Germantown don’t treat it that way. Our specialized technicians are trained in using the top quality parts and advanced tools to complete each and every service. All BMW repairs are performed with specific care and focus, by knowledgeable and highly trained staff. We can also help you create a custom maintenance plan to fit the need of your and your vehicle. We look at your specific vehicle’s needs, your driving habits and the manufacturers’ recommendation to create a plan that works best for you. Our goal is to keep you on the road, driving smoothly, for as long as possible. With reliable repairs and custom maintenance services, we do our best to keep you out of the shop and enjoying your BMW. When your car needs a repair or service, the physical repair is only half of the experience. Of course you want an experienced technician working on your vehicle, but you also want a team you can trust. At Precision Auto, we are that team for you! We strive to make you comfortable and confident with each visit to our shop. No hassle, no upsell, no tricks. Our staff will explain each service and repair you need, discuss parts and pricing, and answer any questions you have before we start. All of our repairs are also backed by a 24 month/24,000 warranty – so you feel confident with each visit. It’s time to experience the Precision difference! Stop by the shop today or give us a call to talk to one of our experts. There is no need to waste your time and money at the dealership, when Precision Auto offers complete, reliable BMW repair at an affordable price. We know how important your vehicle is to you, and we know each make is special. That is why we treat every repair service individually, with attention and care. Since 1979, our team has been dedicated to providing you with the best auto repair service possible, which is why we now service more makes and models than ever! Schedule your next appointment online, with our simple online scheduling form. Or give our experts a call today. Stop by and experience the Precision difference!